Data from NASA’s Orbiting Carbon Observatory-2 (OCO-2) are helping scientists study increases in Earth’s atmospheric carbon dioxide levels. Many factors go into improving long-term climate forecasting, including the study of how, how much, and where carbon dioxide (CO2) is absorbed and emitted by natural processes and human activities at different locations on Earth’s surface. These exchanges vary from year to year, and scientists are using OCO-2 data to uncover the reasons. OCO-2 data for an El Niño event during 2015-2016 revealed that extra CO2 in the atmosphere at that time was caused by releases from South America, Africa, and Indonesia. Not all of the carbon dioxide emitted into Earth’s atmosphere stays there. Some of the CO2 is absorbed by Earth’s oceans. Natural land sinks also absorb CO2, but the amounts of CO2 taken up at different locations on Earth’s surface are not well understood. The many and varied uses of OCO-2 data will continue to be essential to understanding the dynamics of carbon dioxide across our planet, and will help contribute to improved long-term climate forecasting. 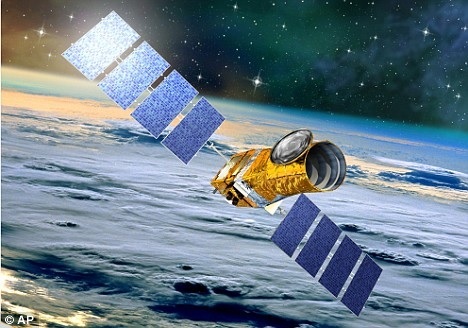 For more intriguing discoveries about our changing planet, stay tuned to http://www.science.nasa.gov. There are bow shocks everywhere, even in space–and these cosmic bow shocks can tell scientists cosmic secrets. The solar wind forms a bow shock in front of Earth’s magnetosphere. “The fast-moving plasma of the solar wind blows past Earth, but it cannot penetrate our magnetosphere,” explains Maxim Markevitch of NASA’s Goddard Space Flight Center. The high-speed collisions of stars with the interstellar medium create impressive bow shocks. Hot supergiant star Kappa Cassiopeia creates a shock that can be seen by the infrared detectors on NASA’s Spitzer Space Telescope. In this Spitzer image, the pile-up of heated material around Kappa Cassiopeia is indicated in red. Kappa Cassiopeiae, or HD 2905 to astronomers, is a runaway star—a massive, hot supergiant gone rogue. What really makes the star stand out in this image is the surrounding, streaky red glow of material in its path. Such structures are called bow shocks, and they can often be seen in front of the fastest, most massive stars in the galaxy. Bow shocks form where the magnetic fields and wind of particles flowing off a star collide with the diffuse, and usually invisible, gas and dust that fill the space between stars. How these shocks light up tells astronomers about the conditions around the star and in space. Slow-moving stars like our sun have bow shocks that are nearly invisible at all wavelengths of light, but fast stars like Kappa Cassiopeiae create shocks that can be seen by Spitzer’s infrared detectors. Incredibly, this shock is created about 4 light-years ahead of Kappa Cassiopeiae, showing what a sizable impact this star has on its surroundings. An example of a bow shock on an even grander scale is seen in this cluster of galaxies located in the Carina constellation, called 1E 0657-558. The Bullet cluster (1E 0657-558) consists of two colliding galaxy clusters in Carina. 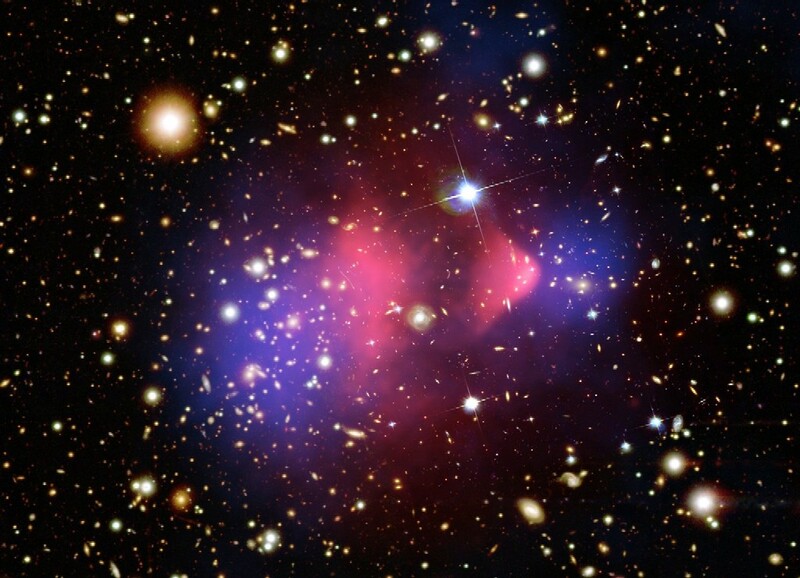 This X-ray image from the Chandra observatory captures the moment of a gigantic collision of two smaller clusters, the two white regions in the image. They say you can’t judge a book by its cover. But what about planets? Take Neptune for example. For many years, especially since 1989 when Voyager 2 flew past Neptune and measured its gravity field, astronomers have known that the blue giant harbors a secret world inside. Hidden deep below the azure cloud tops lies a rocky core not much larger than Earth. Uranus has one, too! These “worlds within worlds” could have exotic properties including scorching hot oceans and diamond rain. If only researchers could peel back the clouds for a closer look…. Astronomers using NASA’s Hubble Space Telescope have discovered an immense cloud of hydrogen evaporating from a Neptune-sized planet named GJ 436b. The planet’s atmosphere is evaporating because of extreme irradiation from its parent star. About 30 light years away, a Neptune-sized planet is having some of its layers peeled back. Astronomers using NASA’s Hubble Space Telescope have discovered an immense cloud of hydrogen evaporating from a Neptune-sized planet named GJ 436b. The planet’s atmosphere is evaporating because of extreme irradiation from its parent star—a process that might have been even more intense in the past. GJ 436b is considered to be a Warm Neptune because of its size and because it is much closer to its parent star than Neptune is to our own sun. Orbiting at a distance of less than 3 million miles, It whips around the central red dwarf in just 2.6 Earth days. For comparison, the Earth is 93 million miles from the sun and orbits it every 365.24 days. Systems like GJ 436b could explain the existence of so-called Hot Super-Earths. “Hot Super-Earths” are larger, hotter versions of our own planet. Space telescopes such as NASA’s Kepler and the French led CoRoT have discovered hundreds of them orbiting distant stars. The existence of The Behemoth suggests that Hot Super-Earths could be the remnants of Warm Neptunes that completely lost their gaseous atmospheres to evaporation. Finding a cloud around GJ 436b required Hubble’s ultraviolet vision. Earth’s atmosphere blocks most ultraviolet light so only a space telescope like Hubble could make the crucial observations. The ultraviolet technique could be a game-changer in exoplanet studies, he adds. Ehrenreich expects that astronomers will find thousands of Warm Neptunes and Super-Earths in the years ahead. Astronomers will want to examine them for evidence of evaporation. Moreover, the ultraviolet technique might be able to spot the signature of oceans evaporating on Earth-like planets, shedding new light on worlds akin to our own. Maybe you can’t judge a book by its cover, but you can judge a planet by its Behemoth. Over 980 million miles or about 1.6 billion kilometers from home, NASA’s Cassini spacecraft hurtles through the starry expanse of space. From its vantage point orbiting Saturn, Earth is nothing more than a miniscule pinprick of light not unlike the stars framing the gorgeous ringed planet. Cassini has been orbiting Saturn since 2004, and it has made dozens of flybys of Saturn’s intriguing moons. Its next close encounter with Enceladus on October 28, 2015 promises potentially exciting results. Enceladus boasts an icy, ostensibly barren landscape riddled with deep canyons, dubbed “tiger stripes.” Underneath its icy exterior churns a global ocean, heated in part by tidal forces from Saturn and another moon, Dione, with seafloor vents expelling water at at least 194 degrees Fahrenheit. Plumes of water vapor and icy particles jettison from its surface in geyser-like spouts, hinting that there is much more to this snowy moonscape than meets the eye. Cassini will be soaring through the jets located at the moon’s south pole, only 30 miles above the surface. However, the plumes are more than just gas and water: samples show that they also contain many of the building blocks essential to Earth-like life. This lends itself to the exciting possibility that organisms similar to those that thrive in our own deep oceans near volcanic vents exuding carbon dioxide and hydrogen sulfide might exist on Eceladus. Although it is still too early to know exactly how complex potential Enceladus’ lifeforms could be, scientists speculate that at the very least microbial life is a real possibility. In the future, a different spacecraft may journey across the solar system to visit icy Enceladus. This spacecraft, unlike Cassini, could be designed to land on Enceladus’ surface, near one of its “tiger stripes.” Such a lander would be able to take samples more directly, bypassing the plume altogether. “Ideally, it could take samples from the edge of one of the tiger stripes,” speculates Spilker. This would ensure that any microbes being expelled from Enceladus’ interior would be more plentiful and easier to collect. The colors of the solar system’s innermost planet are enhanced in this tantalizing view, based on global image data from the Mercury-orbiting MESSENGER spacecraft. Human eyes would not discern the clear color differences but they are real none the less, indicating distinct chemical, mineralogical, and physical regions across the cratered surface. Notable at the upper right, Mercury’s large, circular, tan colored feature known as the Caloris basin was created by an impacting comet or asteroid during the solar system’s early years. The ancient basin was subsequently flooded with lava from volcanic activity, analogous to the formation of the lunar maria. Color contrasts also make the light blue and white young crater rays, material blasted out by recent impacts, easy to follow as they extend across a darker blue, low reflectance terrain. 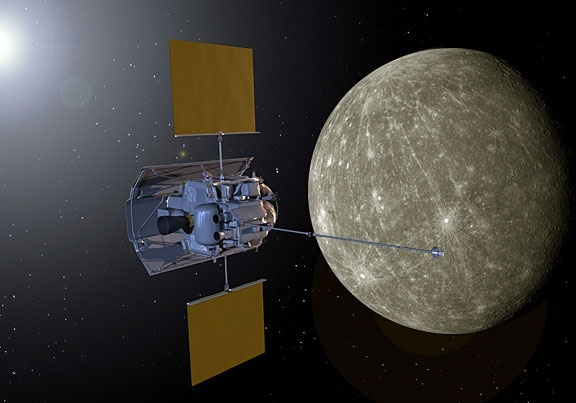 Mission controllers at the Johns Hopkins University Applied Physics Laboratory in Laurel, Maryland, have confirmed that MESSENGER slammed into the surface of Mercury on April 30th at 3:26 p.m. EDT. It had used the last of its propellant on April 24th and could no longer maintain a stable orbit. Traveling some 8,750 mph, the plummeting spacecraft made an unseen crater on the side of the planet facing away from Earth. The hidden face of Mercury: In the mid-1970s when Mariner 10 flew past Mercury three times, the probe imaged less than half the planet. Until MESSENGER arrived, the rest of Mercury was a land of mystery. MESSENGER was the first spacecraft to view the entirety of the mighty Caloris basin—one of the biggest and youngest impact features in the solar system. Moreover, MESSENGER spotted volcanic vents around the rim of the basin, proving that volcanism—and not only impacts—have shaped the surface of the innermost planet. The irony of Mercury’s poles: Mercury would seem to be an unlikely place to find ice. But the tilt of Mercury’s rotational axis is almost zero – less than one degree – so the floors of craters at the planet’s poles never see sunlight. Scientists suggested decades ago that there might be frozen water trapped there. The idea received a boost in 1991 when the Arecibo radio telescope in Puerto Rico and the Goldstone antenna in California detected unusually bright radar reflections from Mercury’s poles—the kind of reflections that ice would make. From Mercury orbit, MESSENGER was able to look down on Mercury’s poles like no other spacecraft or telescope, and it confirmed the unlikely: Permanently shadowed craters near Mercury’s poles have temperatures less than -280F (-173C), and water ice is stable on their dark inner surfaces. Some of the polar ice is covered by a mysterious dark organic material that researchers still do not understand. These graphics show the predicted location and time of MESSENGER’s impact on Mercury’s surface. The incredible shrinking planet: The dominant tectonic landforms on Mercury are huge cliffs called “lobate scarps.” Even before MESSENGER, researchers thought these scarps were signs of global shrinkage, like wrinkles on a raisin. Why would Mercury shrink? The planet’s core makes up a whopping 60–70% of its mass. Cooling of this oversized core has led to a remarkable contraction of the planet. MESSENGER’s images of lobate scarps show that the total contraction is two to seven times greater than researchers previously thought. Magnetically speaking, Mercury is alive: Until Mariner 10 discovered Mercury’s magnetic field in the 1970s, Earth was the only other terrestrial planet known to have a global magnetic field. Earth’s magnetism is generated by the planet’s churning hot, liquid-iron core via a mechanism called a magnetic dynamo. Researchers have been puzzled by Mercury’s field because its iron core was supposed to have finished cooling long ago and stopped generating magnetism. Some researchers thought that the field may have been a relic of the past, frozen in the outer crust. MESSENGER data show otherwise: Mercury’s field appears to be generated by an active dynamo in the planet’s core. It is not a relic. A planet with a tail: Orbiting Mercury, MESSENGER made the first in situ observations of Mercury’s unique exosphere. The exosphere is an ultrathin atmosphere where atoms and molecules are so far apart they are more likely to collide with the surface than with each other. This material is derived mainly from the surface of Mercury itself, knocked aloft by solar radiation, solar wind bombardment and meteoroid vaporization. MESSENGER was able to determine the chemical composition of the exosphere (hydrogen, helium, sodium, potassium, and calcium) and monitor the material as it was stretched out into a comet-like tail as long as 2 million km by the action of the solar wind. This tail, as well as Mercury’s magnetic field, was often buffeted by solar activity during MESSENGER’s long mission, giving the spacecraft a point-blank view of the roughest space weather in the solar system. In addition to science discoveries, the mission provided many technological firsts, including the development of a ceramic cloth sunshade that protected the spacecraft’s instruments and electronics from fierce solar radiation. A new ScienceCast video explores the mystery of the sun’s tiniest flares. The relentless crackle of nanoflares might solve a long-standing mystery in solar physics: What causes the sun’s corona to be so hot? Imagine standing in front of a roaring fire. You feel the warmth of the flames. Now back away. You get cooler, right? That’s not how it works on the sun. The visible surface of the sun has a temperature of 5500 C. Moving away from the surface should provide some relief. Instead, the sun’s upper atmosphere, known as the “solar corona,” sizzles at a million degrees–a temperature almost 200 times higher than that of the roaring furnace below. For more than a half-century, astronomers have tried to figure out what causes the corona to be so hot. Every year or so, a press release appears purporting to solve the mystery, only to be shot down by a competing theory a year or so later. It is one of the most vexing problems in astrophysics. Smith thinks nanoflares might be involved. For one thing, they appear to be active throughout the solar cycle, which would explain why the corona remains hot during Solar Minimum. And while each individual nanoflare falls short of the energy required to heat the sun’s atmosphere, collectively they might have no trouble doing to job. To investigate this possibility, Smith turned to a telescope designed to study something completely different. Launched in 2012, NASA’s NuSTAR X-ray telescope is on a mission to study black holes and other extreme objects in the distant cosmos. 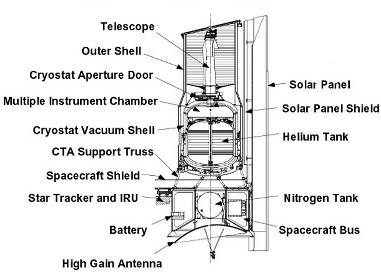 Solar scientists first thought of using NuSTAR to study the sun about seven years ago, after the space telescope’s design and construction was underway. Smith contacted the principal investigator, Fiona Harrison of the California Institute of Technology in Pasadena, to see what she thought. Eventually, she was convinced. As Smith explained, NuSTAR has just the right combination of sensitivity and resolution to study the telltale X-ray flickers of nanoflares. A test image they took in late 2014 removed any doubt. NuSTAR turned toward the sun and, working together with NASA’s Solar Dynamics Observatory, captured one of the most beautiful images in the history of solar astronomy. The next step, says Smith, is to wait for Solar Minimum. The current solar cycle will wind down in the years ahead, leaving the sun mostly free of sunspots and other magnetic clutter that can obscure nanoflares. NuSTAR will be able to survey the stellar surface and gather data on these explosions like no telescope has done before. “I’m impressed by how transitory these structures are,” explains Paul Scowen of Arizona State University in Tempe. “They are actively being ablated away before our very eyes. The ghostly bluish haze around the dense edges of the pillars is material getting heated up and evaporating away into space. We have caught these pillars at a very unique and short-lived moment in their evolution.” Scowen and astronomer Jeff Hester, formerly of Arizona State University, led the original Hubble observations of the Eagle Nebula. The original 1995 image was beautiful. The 8.2-meter VLT’s ANTU telescope imaged the famous “Pillars of Creation” region and its surroundings in near-infrared using the ISAAC instrument. This enabled astronomers to penetrate the obscuring dust in their search to detect newly formed stars. The near-infrared results showed that 11 of the Pillars’ 73 evaporating gaseous globules (or EGGs) possibly contained stars, and that the tips of the pillars contain stars and nebulosity not seen in the Hubble image. ESA Video showing the Pillars in a variety of wavelengths. Astronomers using NASA’s Spitzer Space Telescope are making weather maps of an exotic class of exoplanets called “hot Jupiters.” What they’re finding is wilder than anything we experience here in our own solar system. Mark your calendar: On Oct. 8th, the Moon will pass through the shadow of Earth for a total lunar eclipse. Sky watchers in the USA will see the Moon turn a beautiful shade of celestial red and maybe turquoise, too. Watch, enjoy, learn. Baker, along with colleagues from NASA and other universities, published a seminal study of the storm in the December 2013 issue of the journal Space Weather. Their paper, entitled A major solar eruptive event in July 2012, describes how a powerful coronal mass ejection (CME) tore through Earth orbit on July 23, 2012. Fortunately Earth wasn’t there. Instead, the storm cloud hit the STEREO-A spacecraft. Extreme solar storms pose a threat to all forms of high-technology. They begin with an explosion–a “solar flare“—in the magnetic canopy of a sunspot. X-rays and extreme UV radiation reach Earth at light speed, ionizing the upper layers of our atmosphere; side-effects of this “solar EMP” include radio blackouts and GPS navigation errors. Minutes to hours later, the energetic particles arrive. Moving only slightly slower than light itself, electrons and protons accelerated by the blast can electrify satellites and damage their electronics. Then come the CMEs, billion-ton clouds of magnetized plasma that take a day or more to cross the Sun-Earth divide. Analysts believe that a direct hit by an extreme CME such as the one that missed Earth in July 2012 could cause widespread power blackouts, disabling everything that plugs into a wall socket. Most people wouldn’t even be able to flush their toilet because urban water supplies largely rely on electric pumps. In February 2014, physicist Pete Riley of Predictive Science Inc. published a paper in Space Weather entitled On the probability of occurrence of extreme space weather events. In it, he analyzed records of solar storms going back 50+ years. By extrapolating the frequency of ordinary storms to the extreme, he calculated the odds that a Carrington-class storm would hit Earth in the next ten years. A paper in the March 2014 edition of Nature Communications by UC Berkeley space physicist Janet G. Luhmann and former postdoc Ying D. Liu describes the process: The July 23rd CME was actually two CMEs separated by only 10 to 15 minutes. This double-CME traveled through a region of space that had been cleared out by yet another CME four days earlier. As a result, the storm clouds were not decelerated as much as usual by their transit through the interplanetary medium.